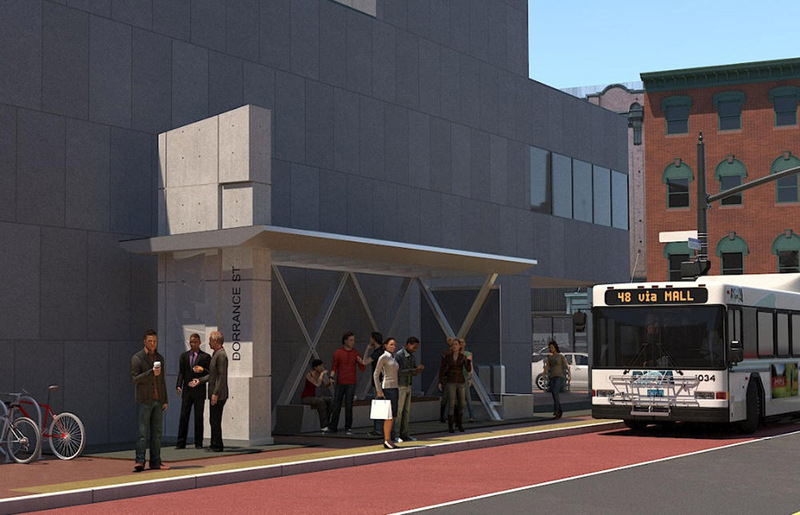 Please join the Rhode Island Public Transit Authority (RIPTA) and the City of Providence for an update on the Downtown Transit Connector (DTC) — a new, high frequency bus transit corridor scheduled to open in downtown Providence in 2019. The community meeting will be held Monday, March 5, 2018, from 5:00 PM to 6:30 PM at the Joseph Doorley Municipal Building (first floor), 444 Westminster Street, Providence. 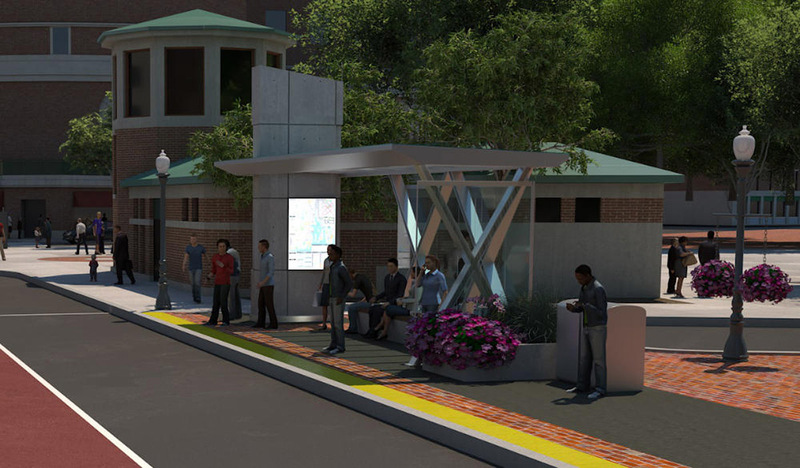 The DTC will run from Rhode Island Hospital to the Providence Train Station and will include enhanced bus shelters with attractive passenger amenities such as seating and digital displays showing real time bus arrival data and other information. 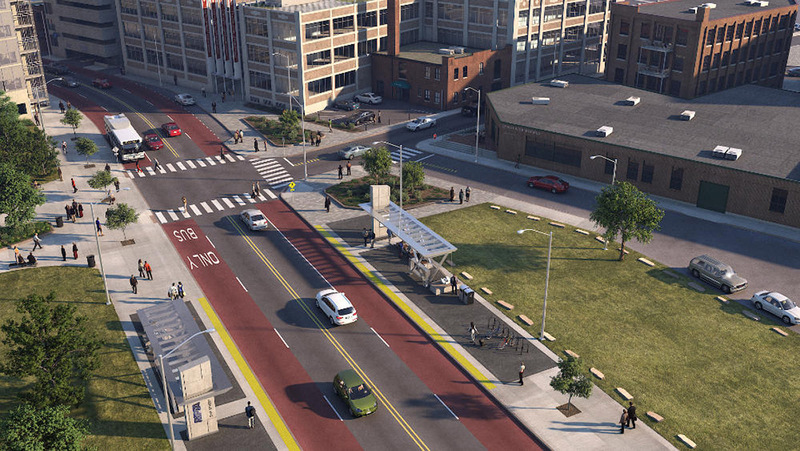 These new shelters will complement the City’s broader long-term vision for this area and its plan to convert Washington Street into a two-way, bus-only, transit way. 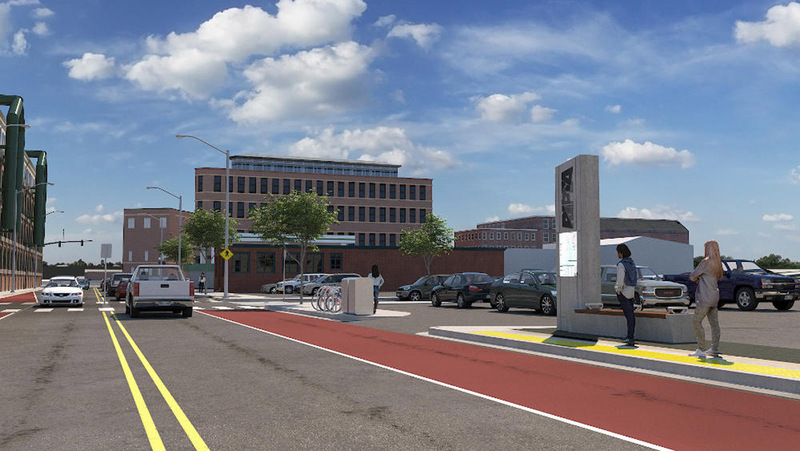 The DTC stop at the Providence Train Station will be integrated into the State’s proposal to construct a new intermodal center there in order to better connect MBTA/Amtrak trains with local transit services. 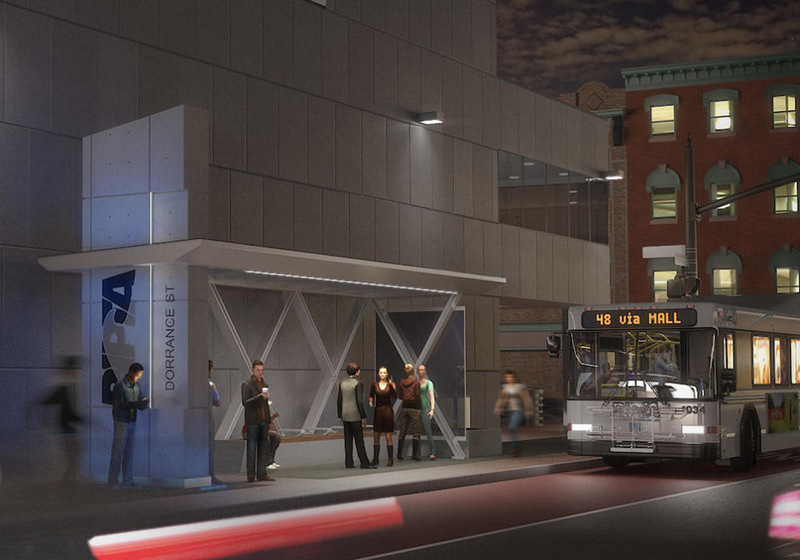 RIPTA will run eight existing bus routes through the corridor to provide service every five minutes between the Providence Train Station and the Hospital District. 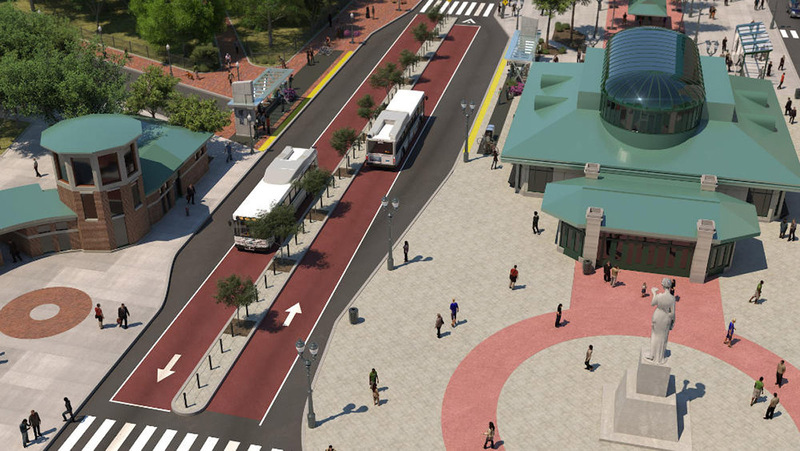 This will more than double the current level of bus service in the growing Hospital and Jewelry Districts, and will eliminate transfers at Kennedy Plaza for many passengers commuting from outlying suburbs. 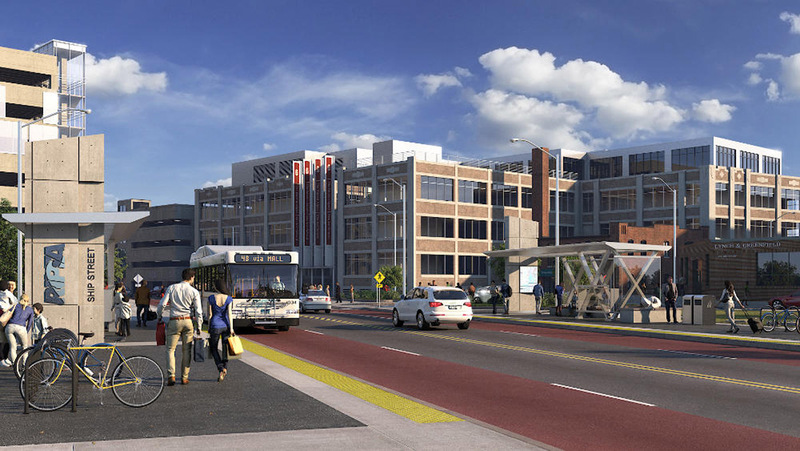 The DTC will also directly connect six colleges and universities to Providence’s medical and innovation districts. 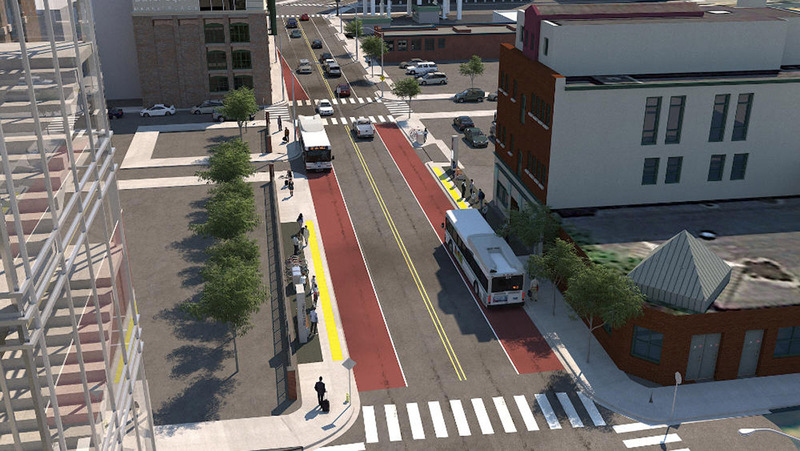 There will be dedicated bus lanes along certain parts of the corridor. Transit signal priority, a technology successfully used on RIPTA’s R-Line route, will extend green lights for buses as they approach the signals and help them move more reliably through traffic. 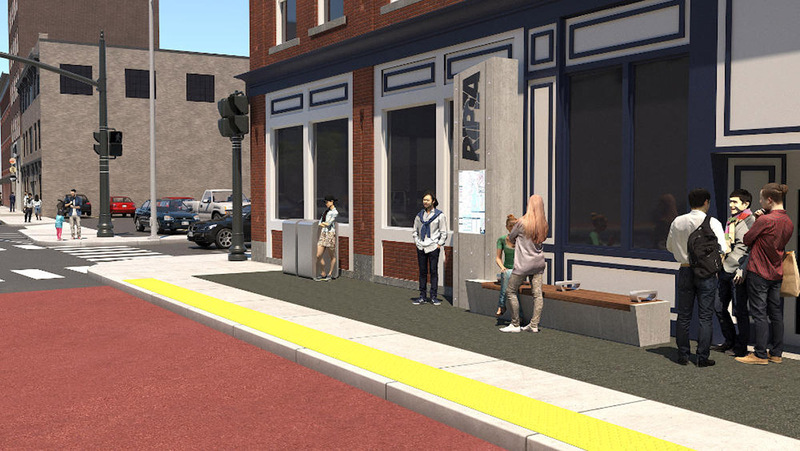 Bike lanes will be constructed along portions of Exchange, Dyer and Eddy Streets, and the City will install bike share stations along the corridor. The project is funded by RIPTA and a $13 million U.S. Department of Transportation TIGER grant awarded to the City in 2015. 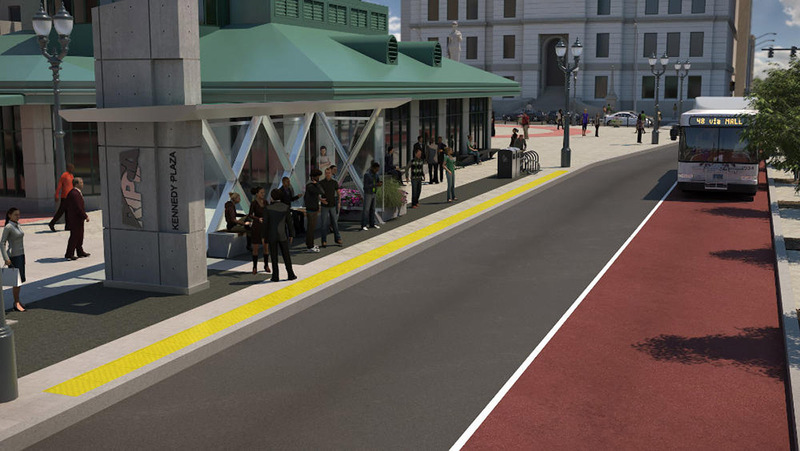 The State is providing a mix of state and federal funding to enhance Exchange Street and to create a more welcoming gateway with increased bus service from Providence Train Station. 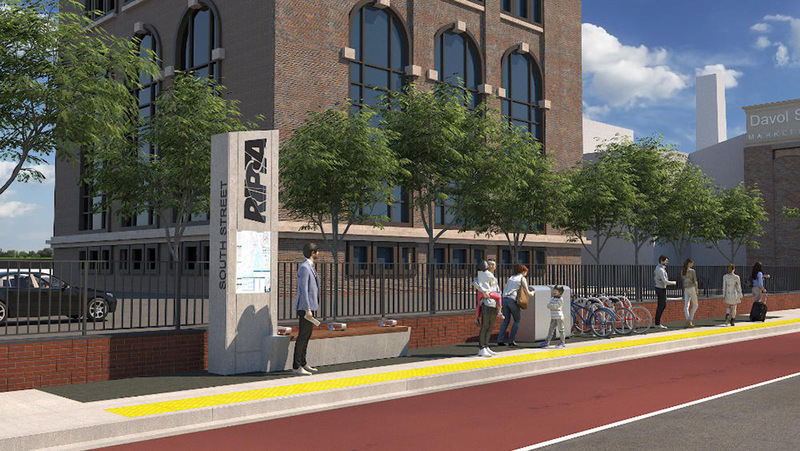 For more information on the DTC project, please visit ripta-dtc.com. But there are problematic elements here which I hope can be addressed. Are some stops without canopies to have shelter from rain and wind? Are the shelters literally set in concrete so that if another location or another route thru the city seems better it will be too hard to move them? Maybe it would be simpler to do what New Haven, Hartford, Denver and others do – simply run a free shuttle service between the rr station and the hospital district. I’m kinda upset that the entirety of all of the routes that are included in the DTC don’t have 5 minute headways. It would be good to see headways under 10 min in areas outside of downtown and the area’s close to downtown. Hope eventually there would be a overhaul to the entire RIPTA system so that buses are much more frequent and follow the R-Line and DTC model. The demand for better transit is there and despite all the multiple fare increases I’ve seen through-out the 8 years of riding RIPTA I haven’t seen much improvement in service and I’ve also seen some service get cut, the 1 am route 55 bus outbound on Fridays during college session (probably one of the “night owl” bus service that has existed on RIPTA). I agree with Barry – The renderings for Ship Street, Eddy Street, Dorrance Street, etc., are drawn with no canopies to protect from wind, snow and rain. Why is that so? Shouldn’t every stop that will expect high ridership be designed to protect riders from weather issues? Sometimes we can be waiting quite a bit of time for a bus to come. Also, each such stop should have an emergency call system, in case of robbery, accident, or health issue. Oh no, but the parking! Kidding… This looks pretty great. Making the buses run faster means more service can be provided at the same cost. I suspect that the reason some of the stops are shown without canopies is because property owners directly behind the new stops would have portions of their building’s ground-floor facades obscured. That would be quite detrimental for any storefront tenants that might be in those spaces. That said, all of these stops do need rain and wind protection. Who is this bus for? Presumably they are looking to better connect the universities with the hospital district but…they have their own shuttles that already do this. Who is going to choose to take the RIPTA bus when your tuition is already covering a private shuttle? I take the 1, 3, and R-line which pretty much all go along this route and it is already very well served by busses that will take me all the way to my actual final destination – which is the neighborhood I live in, well past the hospital. The only true benefit I can see in this project is increasing the ease of access to medical services for people without vehicle access. That’s a major plus for the community, but something tells me it could be done without turning the hospital into a tertiary bus hub. I like to see the 6 & 92 Providence Link Trackless Trolleybus Routes become Bus Rapid Transit Routes & the R-Line become a Trackless Trolley Route like the 6 & 92 Providence Link Trackless Trolleybus route. In fact, make them all Trackless Trolley-Bus Rapid Transit Routes by changing the R-Line to the Green Line, the 6 Trackless Trolleybus to the Yellow Line & the 92 Trackless Trolley to the Brown Line & have it go thru the East Side Bus Tunnel.